'Time flies' seems to be a recent theme around here. Is it too late to recap an event that happened two months ago!? 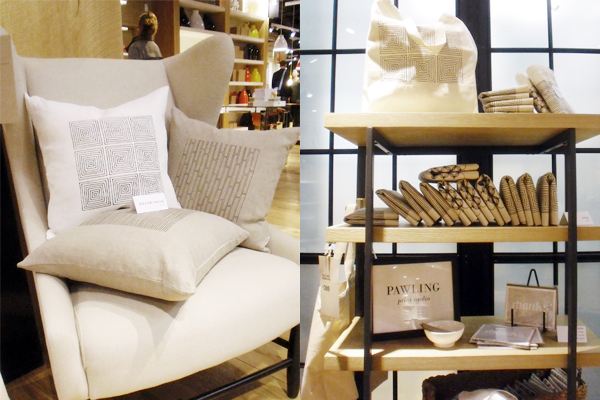 Yeah, we're talking about that West Elm pop up event from the end of March (!!) ... better late than never, right? We should start out by thanking Ella Tay at West Elm for really going above and beyond. She knew who we were as soon as we walked in the store and had already set up a space that was perfect for our items. We had a table and a bookcase (woo!) on one side and a beautiful chair and side table on the other. The chair was perfect for displaying our pillows. Our location was pretty interesting. We got a ton of traffic since we were on the main path to the booze which was strategically located at the back of the store. Our spot was great for exposure, but it also got pretty crowded between our displays which may have discouraged people from stopping for too long. There was also a giant mirror behind the chair and it was both hilarious and bit surprising to see how many people stopped to check themselves out! We had an hour to set up and thought we would have plenty of time to check out the other sellers, but as soon as we were done setting up people were already wandering in. 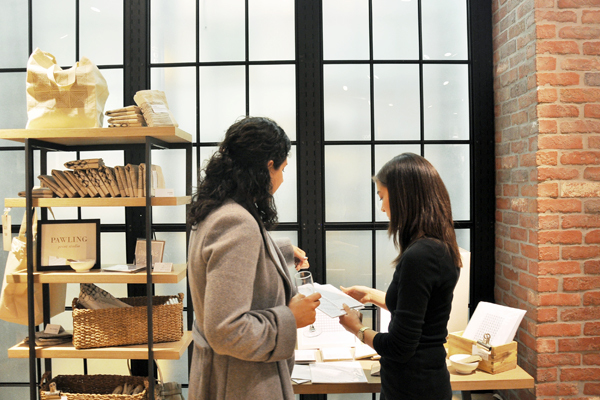 It was really cool to see our products in a retail setting and under retail lighting. And it was especially cool when the occasional customer told us that they didn't stop at our table at first because they thought it was West Elm stuff! Thanks again to West Elm, Etsy, and Remodelista for this awesome opportunity. Thanks to all of our family and friends for coming by to support us. And thanks to all of the new faces who introduced themselves to us! What a visual delight to see these gorgeous products featured in such beautiful vignettes! Kudos to Pawling, West Elm, Etsy and Remodelista for such innovative stylistic collaboration! Thank you so much, Dot!